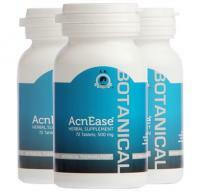 AcnEase® works! My skin is clear! What do I do next? It has finally happened! You've cleared your skin of acne with AcnEase®! But now what? Can I stop taking AcnEase cold-turkey? Stopping the treatment suddenly may work for some but for some it may also increase the risk for flare-ups to return. So we developed a strategy to minimize this risk. We suggest that instead of stopping AcnEase cold-turkey, you wean yourself off the treatment slowly by going down by one level of treatment over a 1-2 month period.For example, if you are on the severe acne regimen, you go down to moderate acne regimen. Stay on this level for 1-2 months, and if your skin remains clear, go down again to the mild acne regimen for 1-2 months.If you don't see any flare-ups within 1-2 months, then go down to the maintenance treatment. 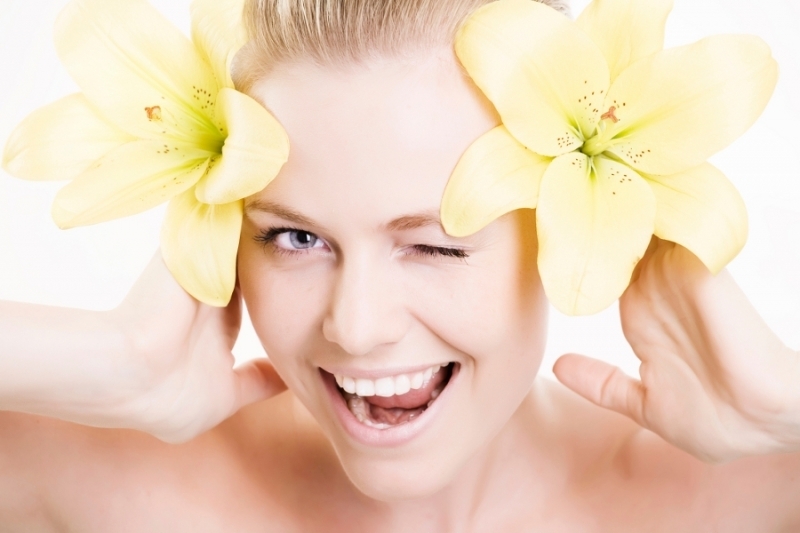 You can stay on the maintenance for a long time as AcnEase is safe for long-term use. Or, if you don't see any flare-ups in 1-2 months on the lowest maintenance dose (2x3 or 2x2 tablets daily), then congratulations! You may opt to stoptaking the product all together. Numerous individuals with chronic acne opt to useAcnEase regularly on a lower regimen for a long time to make sure they maintain clear skin. All of the dosages for the treatments are located on each product page on our website--and all of the dosages also come with your order. I'm Treating My Acne with AcnEase®: Will I Have to Stay on it Forever? AcnEase® treatment may take anywherebetween one to 6 months depending on the severity of your acne and how chronic it is. If you think this is a long time...think twice. If you use antibiotics, retinoids, oral contraceptives and of course any topical products, a minimum recommended time to see any results is 6 months. And if you stop using them, your acne will return, as none of them actually addresses the causes of acne and breaks the acne cycle. Even generic forms of Accutane with its severe adverse effectsare prescribed for a minimum of 6 months...so AcnEase can really help you not only better but also faster. We deliver the facts, and people are noticing. AcnEase has received so many great reviews from AcnEase users, and sites like Acne.org and Amazon.com and also investigative sites like DoesItReallyWork.org, who recommend giving AcnEase a try because we are "legitimately trying to provide a quality product and not just after the quick buck. It's that time of the year again: time for lighter colors, lighter jackets and maybe even a lighter skincare routine. But how should you change up your skincare routine to avoid suffering from any breakouts? You may have started using a richer moisturizer at the beginning of winter. If that's the case, it's probably time to choose a lighter moisturizer again. In general, choose a lotion or even gel-like cream (this applies to both the face and body) and make sure it's noncomedogenic, without alcohol, salicylic acid or other drying ingredients. Is Your Prescription Treatment for Acne Really Safe? When we find ourselves suddenly experiencing acne breakouts, or when we suffer a long battle with acne and nothing seems to help, we may try anything that our doctor will prescribe. What we often forget about is to consider both short-term and long-term health consequences of treatments. Many products used for acne treatment are systemic (taken orally), and obviously they will affect not only our skin but our entire system. So, to be on the safe side, you really need to educate yourself before putting anything in to your body. Learn more about your prescription acne treatment and whether or not it's safe for you to keep using, and keep your eye out for part 2 of this hot topic, which will help you decide whether your over-the-counter acne treatment is safe. We do everything we can to keep our skin healthy. We change our skincare routines to suit the season, we try to eliminate any ingredients that may be harming our skin. We eat seasonal, organic, acne-friendly foods and remain dedicated to our acne treatment regimen. But sometimes, mother nature throws us a loop. Sometimes, the mild winter weather our skin was doing just fine in is suddenly arctic and unrelenting--and that takes its toll on our skin. Traveling from a cold destination to a warm destination can take the same toll. So how do we keep our skin healthy during these crazy temperatures? Don't like Valentine's Day? Have a Mini "Spa" Party! Not everyone wants overpriced roses and fancy dinner dates for Valentine's Day. So if you find yourself looking for a different way to celebrate YOU on Valentine's Day this year, consider throwing a mini spa party for yourself and even your friends! Also be sure to check out our other Valentine's Day articles for some healthy treat ideas and skin-friendly cocktail recipes! Having acne-prone skin doesn't mean having to miss out on all the fun of either celebrating or not celebrating Valentine's Day! 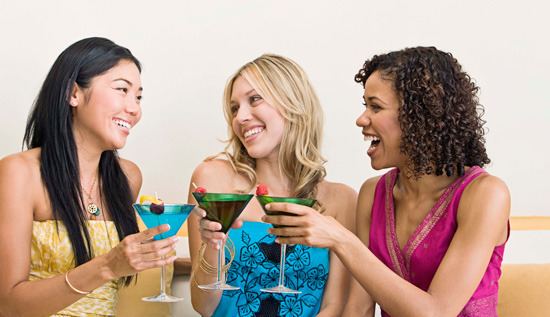 You can still enjoy yourself and enjoy a cocktail right alongside your friends without exacerbating your acne. You might be wondering what sort of cocktail you could sample (of course, if you are 21 years old or older and... in moderation) that won't give you sugar overload and negatively affect your skin. Try these 2 amazing cocktail recipes - your friends won't believe how healthy and skin-friendly they are! When we think of Valentine's Day, we usually think of candy hearts and boxes of chocolate from friends and loved ones. And for those of us with acne, we think about how eating all of this extra sugar may wreak havoc on our skin. Need some V-Day ideas your skin will love? We've got you covered! Feeling loved and loving others is a surefire way to boost your mood. 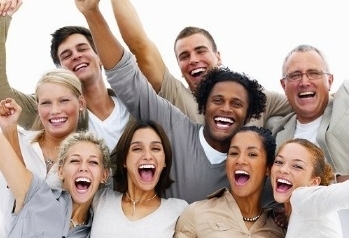 A happy person is one less likely to fall prey to stress, which can exacerbate acne. 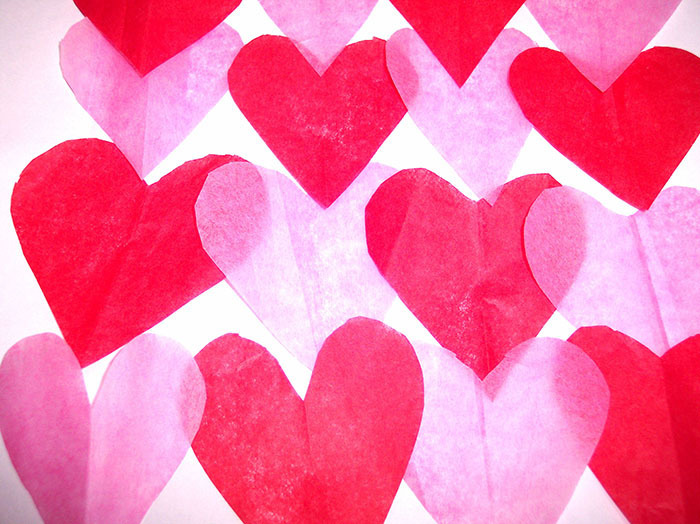 So spread the love this Valentine's Day with handmade valentines. Taking the time to craft a heartfelt message to your loved ones will remind you how happy you make each other, and your skin will glow with knowledge that powerful. 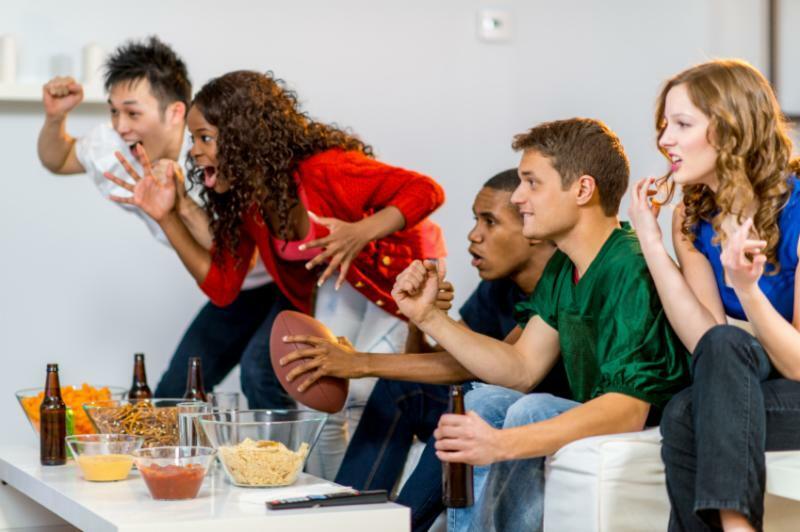 You want to throw a rocking Super Bowl party--what you don't want to do is ruin the fun by chowing down on foods that may sabotage all your progress to get acne-free. Luckily, there are easy ways to turn your Super Bowl Sunday skin-friendly without ruining the fun. You know that pizza you were planning to pick up from the local takeout? Oh, and that store-bought guacamole? Forget about them and make your own. We know you're busy, but think of how much better you'll feel knowing you're munching on the healthiest, most nutrient-dense pizza and guacamole possible. Toss your own whole wheat pizza dough into a thin crust. To keep the sugar to a minimum, skip the tomato sauce and top with a variety of fresh, organic, veggies--tomatoes, peppers, spinach, squash, you name it--and a sprinkle of organic cheese. Bake and slice into small, finger-food-sized squares and share with your friends. Are Freshly Made Fruit & Veggie Juices Beneficial for Acne-Prone Skin? Lots of people are drinking fruit and vegetable juices these days that they actually extract themselves to be sure they get the freshest ingredients. So you might be wondering, how beneficial is it for the health of acne-prone skin? Is it the right option for me? Some of the fruits and vegetables that you'll find at your local markets can actually help to heal, cleanse and nourish your skin from within. However, you don't want to get too excited and start throwing any fruit or vegetable you can find into your juicer. Some fruits may be better for your acne-prone skin than others. For example, if you have found in the past that you don't handle apples well, then you probably shouldn't throw them into the mix: juicing fruits or vegetables that aren't right for YOUR BODY won't magically make them good for you.